Who has the backbone to stop this? Home > Comments and Articles > Who has the backbone to stop this? Australia has an excellent health system. Yes, many improvements could be made, but generally the mixture of public and private provision of health delivery and insurance together with regulatory oversight works to provide one of the best, if not the best, health care system in the world. Alongside this system is a parallel system of "medicine", where science might receive lip service but superstition, tradition and faith provide the supposed evidence of efficacy and safety. This sector used to be called "Alternative Medicine" but now prefers to be referred to as "Complementary" in the hope that it can be seen as an adjunct to real, scientifically-based medicine. In the grey area between these two forms of medicine sits Chiropractic. There is a popular misconception that chiropractors are some sort of back pain specialists. If a chiropractor confines himself to treating lower back pain by massage and manipulation then he is not really doing chiropractic, he is doing physical therapy. The fundamental principle of chiropractic is that all dis-ease (note the hyphen) is the result of subluxations of the spine causing pressure on nerves and therefore inhibiting the transmission of the signals which allow the innate intelligence of the body to heal itself. Everything is caused by subluxations (which chiropractors have trouble reliably identifying on x-rays) and everything can be fixed by removing these annoying misalignments. Chiropractic rejects the "germ theory" of disease, preferring to see microorganisms as just inconvenient nuisances or perhaps even opportunistic scavengers that come along after disease is established. Chiropractic was "discovered" by Daniel Palmer in 1895 when he cured someone's deafness by pressing on a bulge on the person's back. (Anatomists will say that the nerves between the ear and the brain don't go through the spine.) Palmer's son saw the commercial potential of chiropractic as well as training schools and colleges, and there is a thriving industry today teaching chiropractors how to attract and keep patients. Attempts to reform the profession and place it on a scientific basis have been strongly resisted, and chiropractors in the USA who have broken ranks have been subject to much vilification and abuse. Examples of the promotion of inappropriate uses of chiropractic are easy to find. Almost any magazine aimed at new parents will contain advertisements for chiropractors who claim to treat autism, bed wetting, asthma, ADHD and colic. One highly promoted chiropractic treatment for children is for the ear inflammation otitis media. Not only are there no nerves passing from the spine to the ear, but the procedure exposes children to risk from sudden stress on the spine, particularly the neck. One aspect of chiropractic which is often overlooked its declared opposition to vaccination. If everything is caused by vertebral subluxations then vaccination is unnecessary, but the opposition goes beyond that to claims that vaccination is harmful. At a recent trade fair in Sydney aimed at parents of young children a professional association of chiropractors was distributing brochures which contained serious misinformation about vaccines. In an extreme case, at the 2000 national conference of the Pediatrics Council of the US International Chiropractors' Association an award of Hero of Chiropractic was made to a man who was in prison for the murder of a ten-week old child. The award recognised that the killer was just as much a victim as the dead child, because a vaccine had really caused the intracranial bleeding and the broken ribs, not Shaken Baby Syndrome. Outside of journals run by and for chiropractors there is little reliable and valid evidence that chiropractic is useful to treat any medical condition other than some forms of back pain. There is no scientific plausibility to the hypothesis that subluxations of the spine impair nerve function (except in the grossest cases, where the spinal damage far exceeds any definition of subluxation) or that this impairment affects the operation of the body's immune system. There are direct dangers from chiropractic treatments, particularly neck manipulation where there is a risk of stroke from sudden movement, and there is the indirect danger that people with serious illnesses will use chiropractors as primary care physicians (a term that chiropractors regularly attempt to appropriate) and consequently avoid medical treatment. I would like the relevant authorities to take the follow actions. The November edition of Australasian Science magazine contained an article by me titled "Who has the backbone to stop this?" The Chiropractors Association of Australia was not happy and made a formal complaint to the magazine. As the magazine doesn't have a Letters to the Editor column, the CAA were advised to make any comments via the magazine's web page, but a check of the article there indicates that they weren't motivated to do that. Perhaps they felt that a letter that would not be published, and therefore not attract attention to their claims, would be sufficient. I have decided to respond, as some of the statements made in the letter do not correspond to my version of reality, although I am prepared to admit that in this postmodernist, relativistic world it is possible that chiropractors have a different form of reality. To avoid any possible accusation of misquotation on my part, you can read the original letter, including the CAA logo, here. Chiropractors welcome critical observation when it is intelligent and well-informed but dislike re-cycled ignorant cynicism and bias. I like to think that I write original ignorant cynicism and bias, rather than recycled. I will address the ignorance and cynicism below, but I have to admit to bias against unscientific and dangerous practices pretending to be medicine. Scepticism is healthy and the readers of this quality magazine have every right to expect The Naked Sceptic to reflect the magazine's mission to publish world-class science. Unfortunately Peter Bowditch's article "Who Has the Backbone to Stop This" in your November 2010 issue is so overloaded with factual error that it falls well short of being world-class. I hope that some facts are coming to correct my errors. On the other hand it is interesting to note Bowditch state that chiropractic sits between complementary medicine and what he mistakenly calls "real, scientifically-based medicine." In my role as Chair of a Human Research Ethics Committee within a multi-campus, Government-funded health network in Melbourne I regularly lead the review of applications designed to advance our collective understanding of medicine and its practices. My many medical colleagues, as decent, caring and hard-working practitioners frequently point out that which medicine does not know, in the scientific sense. There is much that medicine doesn't know. That is the nature of science, so to say that there are things "which medicine does not know, in the scientific sense" is meaningless. As a chiropractor I have high regard and respect for my medical colleagues and a deep understanding of the work they do. It is particularly interesting to note that medicine in general does not hold itself out to be "real and scientifically-based" in everything it does. I would be interested to know what part of medicine doctors do not think is real, and also which parts of medicine are not based on science. If you are referring to that old canard beloved by quacks of all persuasions that X% of medicine has not been proved effective in randomised, double-blinded clinical trials then I suggest you offer yourself to be a member of the placebo group in studies into anaesthesia for abdominal surgery, suturing for knife wounds, splinting for broken femurs, morphine for reducing the pain of third-degree burns, charcoal lavage for the treatment of poisoning and other "untested" procedures. The same can be said of chiropractic, and this is where Bowditch makes his fundamental errors and demonstrates both his ignorance and bias. I admit I have only been a chiropractic educator since my graduation as a chiropractor some 20 years ago, but I must say we do not teach that "all dis-ease is the result of pressure on nerves." 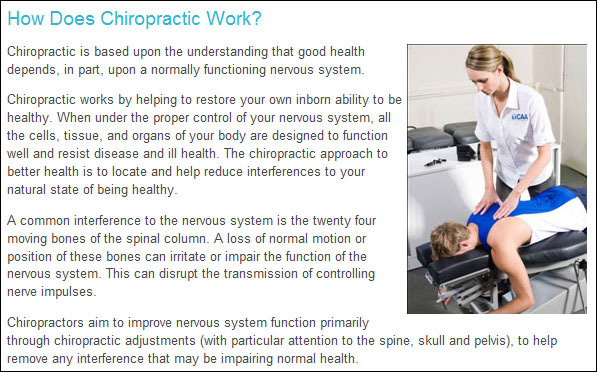 Chiropractic is based upon the understanding that good health depends, in part, upon a normally functioning nervous system. Chiropractic works by helping to restore your own inborn ability to be healthy. When under the proper control of your nervous system, all the cells, tissue, and organs of your body are designed to function well and resist disease and ill health. The chiropractic approach to better health is to locate and help reduce interferences to your natural state of being healthy. A common interference to the nervous system is the twenty four moving bones of the spinal column. A loss of normal motion or position of these bones can irritate or impair the function of the nervous system. This can disrupt the transmission of controlling nerve impulses. Palmer may have thought like that in the late 19th Century, at a time when medicine was either heroic or homeopathic, X-ray was a new discovery, and it would still be some 30 years before Flemming discovered the first usable antibiotic. We also teach the value of evidence-based chiropractic practice, an approach supported by the Chiropractic Board of Australia which requires chiropractors to offer evidence to support any claims of clinical outcomes. Contemporary chiropractors understand disease and illness is actually multi-modal and this principle underpins the chiropractic curriculum in Australian universities. Chiropractors claim to treat asthma, autism and ADHD, and now seem to be moving into dentistry. Please enumerate the "modes" of these conditions with special emphasis on those amenable to chiropractic adjustment. As noted in the opening sentence above, scepticism is healthy. A recurring theme in my writing is my questioning of the claims chiropractors make and how it is that we know what it is that we say we know. Chiropractors do know that the X-ray does not show subluxation. Then one must ask why chiropractors take X-rays of the spine. If subluxations can't be detected, surely this practice exposes patients to increased risk from radiation (and increased expense, of course). The point missed by Bowditch is that what chiropractors call subluxation for the lack of a better term is actually a functional lesion of the spine, and not one that is structural. Static plain film radiographs are quite poor at showing functional lesions, if they do at all. So, effectively, subluxations are subjective. Or, put another way, imaginary. His suggestion chiropractors reject the germ theory of disease is quite incorrect. Chiropractors are well trained in microbiology at university level and understand bacterial infection and viral diseases. But while respecting their role in disease we hold neither the germ nor the virus as the reason for our existence. This is obvious. They are not even the reason for the existence of real doctors, let alone ones who think that diseases can be related to undetectable "functional lesions" in the spine. Bowditch will be unable to explain why one person in a household falls victim to a germ or virus to which all other members of that household have been equally exposed. Not all diseases are universally infectious or contagious. The Black Death and the 1918 flu epidemics didn't kill everyone. Put another way, not all infectious agents cause epidemics. All the members did not receive identical exposure. Even within a single family people are not genetically identical. Indeed, this is one of the mysteries of public health, and in their attempt to understand it chiropractors have taken a view that there may be variable degrees of resistance in individual bodies that allow some to succumb while others remain healthy. Which is what I said. This is not news to real doctors and is the subject of continued research. With respect to neurological connections, your sceptic really shows his nakedness when he twice tries to denigrate a view of chiropractors by resorting to the supposed anatomical fact that there is no nerve connecting this with that. I was quite specific. I said that there are no nerves passing through the spine that connect the brain to the ear. Please do not say that I said things that I didn't say. If I am wrong in this specific instance, please tell me the name of the nerve which passes through the spine and causes otitis media when its function is impaired by subluxation. An hour or two of learning about convergence within the central nervous system and the interplay between its autonomic and cranial nerves and their processing of, and in return management of, the peripheral nervous system may help him better understand the way the human body functions. I can learn it in an hour? Does that make me very smart or chiropractors very dumb? Actually, an hour seems like a long time, because I learnt kinesiology in about five minutes but according to the CAA's schedule of professional development courses for the next few months chiropractors need several days of training. And we haven't yet touched on the homeostatic balance between the sympathetic and parasympathetic systems. All neurologists, including those chiropractors who have made it their specialty through considerable additional study, admit to living in the shadow of what remains largely unknown. As I said above, real doctors admit that they don't know everything. That is how science works and why research is done. Surely this magnificent part of human existence deserves more than to suffer severely limited comment based on 19th Century anatomical knowledge? Human anatomy was quite well understood in the 19th century. What major discoveries have been made since then that implicate the spine in the range of conditions that chiropractors claim to be able to treat? The suggestion that "attempts to reform the profession and place it on a scientific basis have been strongly resisted" is scurrilous. There are five or six funded Chairs of Chiropractic Research in Canadian Universities, none of which deliver a first-professional program in chiropractic and are thus "scientifically" independent of the profession. So you support the continued growth and success of the US-based National Association for Chiropractic Medicine, a group based on the idea that chiropractic can be moved to a position where it can be firmly based on science. Oh, that's right, you can't, because it folded in 2009. The people who set it up finally got sick of the insults and the resistance to science in the chiropractic profession. All they were asking was that chiropractors only perform treatments and procedures for which there was good scientific evidence, but apparently that would have placed too much restriction on practitioners. It is much better to spend money researching better ways to increase the growth of the client base and how to retain patients once they are acquired than it is to try to find evidence of the elusive subluxation. Two of the three chiropractic programs in Australia's universities are led by chiropractors with a doctorate; the third leader has relevant additional qualifications in a specialty area of practice. The Australian Spinal Research Foundation is the largest chiropractic body in the world to fund chiropractic research, and the Palmer Research Institute in Iowa is richly funded by grants from the US Federal Government. Where are the results of this research published? I know that grants from the US National Council for Complementary Medicine require publication of even negative results (one reason that they can't give away all the budget) so there must be something somewhere. I would also like to see evidence that the findings of chiropractic research have been adopted outside the profession by specialists such as sports medicine doctors, physiotherapists and orthopaedic surgeons. This is a commendable record of scientific performance in the absence of research dollars from the highly profitable drug companies who, in Australia, generate their income largely from public money. Why is it admirable for chiropractic research to receive government funding but wrong for pharmaceutical companies to receive government money through sales to the PBS? And then we come to the hoary chestnut of opposition to vaccination. One of the things this writer celebrates about his profession is the breadth of freedom of thought exhibited by its practitioners. Yes, there are chiropractors who have successfully raised their own families without vaccination and there are chiropractors, myself included, where certain vaccinations are accepted. In the current vaccination schedule recommended by the federal Department of Health, which vaccines do you think are essential and which should not be there? And of course, there are many in the middle. But as responsible players in Australia's public health arena we do get nervous when we see a vaccine manufacturer allegedly fail to adequately test their product on children and also allegedly fail to adequately control the quality of production. A lot of "allegedly" there. Are you generally opposed to swine flu vaccination or just concerned, as was everyone else, about the minor problem which arose in Western Australia? Every parent in Australia is concerned to note a nine times greater incidence of negative reaction in infants recently vaccinated with a certain "seasonal" vaccine. Again, one bought at great expense by public money and then poorly utilised to the extent there has been a gross waste of public resources. I'm afraid that quoting from the anti-vaccination liar hymn book doesn't inspire confidence that you really don't oppose vaccination. 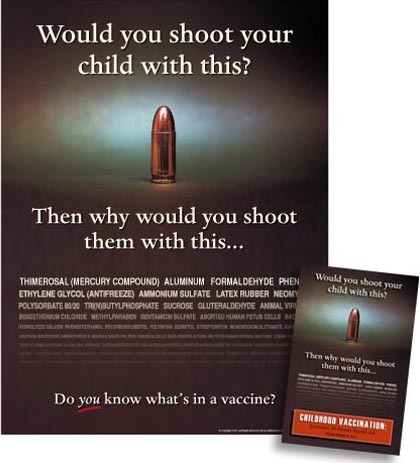 Do you have a comment about the fact that the CAA, the organisation you represent, were handing out anti-vaccination literature developed by US-based chiropractor Tedd Koren at a recent trade show targeting parents of young children? There is nothing ambiguous about Koren's material. It is packed with lies and is deliberately designed to discourage vaccination. It is also specifically marketed in bulk packs to chiropractors. in the first two lines of the ingredient list. chiropractors he sells the brochures in bulk to) assume are uncheckable by parents. Do you also have a comment about the award of "Hero of Chiropractic" made in 2000 by the Pediatric Council of the International Chiropractors' Association? It was made to a man who was in prison for murdering a ten-week old baby and was granted on the basis that the child had died from a vaccine reaction, not a savage beating by a vicious thug. The use of derogatory language is also unhelpful. To infer it is a misconception to see "chiropractors ... (as) ... some sort of back pain specialist(s)" is mischievous, as any cursory review to compare the chiropractic curriculum against the medical curriculum will attest. Why are back pain specialists treating autism, ADHD, colic and ear infections? Bowditch may be surprised to note that it is not only the breadth of content but its depth that ensures chiropractors are the experts in non-invasive spinal care. I met someone recently who is an expert in UFOs. His knowledge of flying saucers was both wide and deep. He is welcome to visit my University's anatomy lab and pathology museum by arrangement; he may be surprised at the superb quality of the material that underpins the learning undertaken by registered student chiropractors. And yes, student chiropractors are registered under the new National Scheme. This dichotomy always amuses me. As Claire said to Elwood in The Blues Brothers: "We got both kinds here, complementary AND Western". What could be more Western than something invented in the USA? 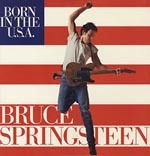 Bruce Springsteen sang a song about it. it must be stated that the National Health Professions Regulation Act ranks chiropractic alongside medicine, dentistry, pharmacy, nursing, psychology and a number of other disciplines and applies the same rigid principles of registration. Further, the profession-specific Boards are also charged with the accreditation of educational programs and the public can take heart from the fact that Government is indeed keeping a close eye on the major health disciplines in Australia, of which chiropractic is one. The outcome of this will be a strengthening of what Bowditch recognises as "an excellent health system." My view is that registration does nothing except allow practitioners of fringe "complementary" modes of "medicine" to assume a cloak of respectability. It is made even worse when education and registration standards are set by the very people who need to be controlled. That something like chiropractic, which contradicts almost all that is known in medicine, can be accepted as a medical profession is not just a tragedy, it is a disgrace. Perhaps it is time for The Naked Sceptic to move on to a topic about which he actually has contemporary and factual information, instead of filling a few column inches with an old agenda revealing misinformation, ignorance and prejudice. Phillip Ebrall is Associate Professor of Chiropractic Education at RMIT University Melbourne, and an Adjunct Professor in the Faculty of Medicine at the International Medical University in Kuala Lumpur.